As we all know, January is the time for people jumping on the health bandwagon. Whether you’re a health and fitness addict or you’re new to the scene and want to make positive eating and lifestyle changes, I’ve teamed up AO.com to show how the new Kenwood Spiraliser can be used to help make this step forward. Courgetti, squashetti…You’ve probably seen the booming trend of turning vegetables into ‘spaghetti’ as a low-carb option in place of pasta in meals. 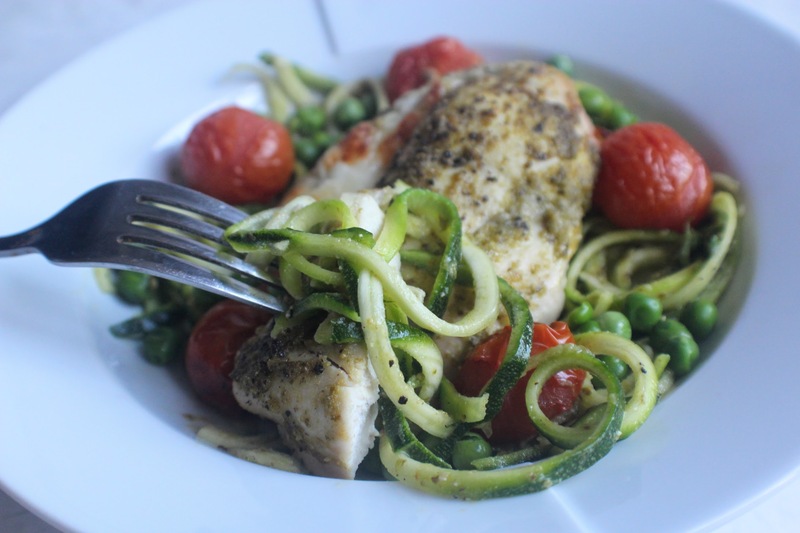 While I certainly don’t demonise carbohydrates, sometimes swapping out normal spaghetti for veggies can be a super simple and easy way to bulk out a meal while cutting back on calories – which is particularly ideal if you’re looking to lose a bit of weight but still want to feel like you’re eating a decent amount. 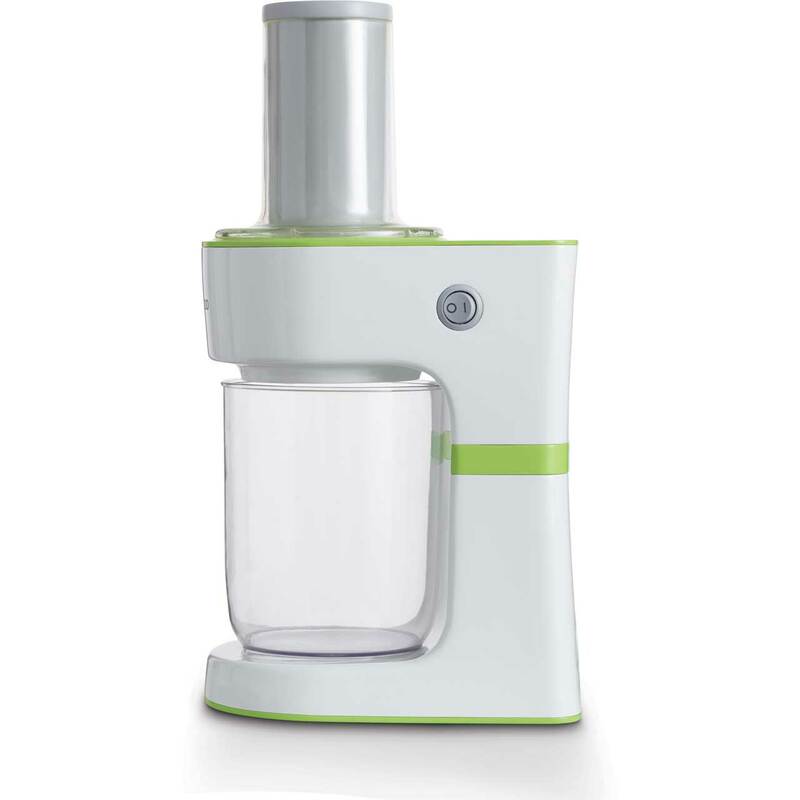 Kenwood’s gadget not only sits pretty in your kitchen but the process of transforming anything from apples to sweet potatoes into ribbons is easy, simply switch the device on and push it through the blades, which is clearly visible on the other side through the clear container. I’ve been used to a handheld spiraliser in the past (where you turn the handle yourself and push the fruit/vegetable through the blades), which hasn’t always worked well with tougher-skinned items like butternut squash; however Kenwood’s Spiraliser solves that problem. 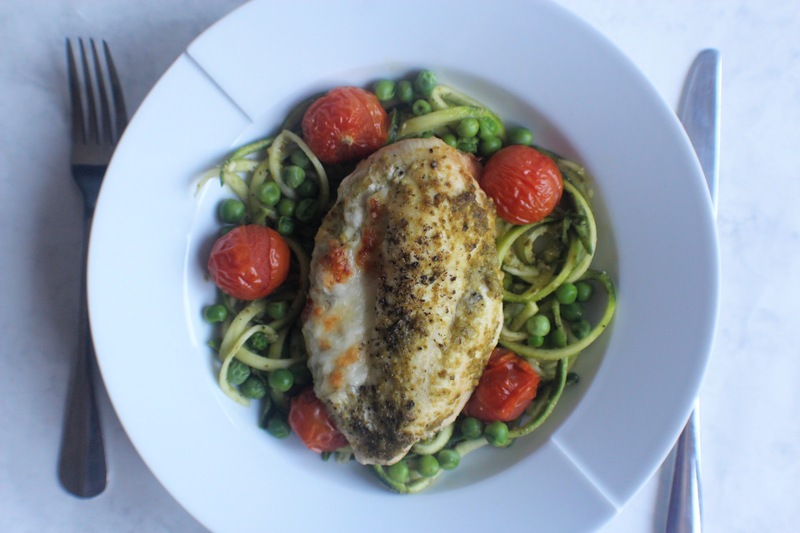 AO.com challenged me to create a recipe so let me introduce this delicious, easy to cook, protein-packed dinner combining some of my favourite flavours: basil, mozzarella and tomatoes. You could use shop-bought pesto but it’s much more fun to make your own (you can control the salt and sugar content), plus it adds so much flavour to the courgetti that you won’t even realise it’s not real pasta. 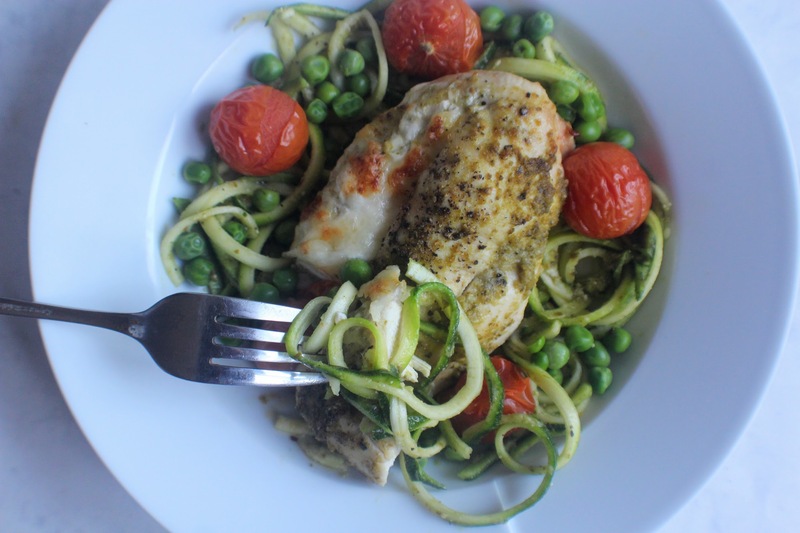 Simply double the quantities of the chicken, tomatoes and courgetti if you want to feed more people, you’ll have plenty of pesto to go round! First make the pesto: Place the garlic, basil, pine nuts and lemon juice in a food processor or blender (you could use a hand one) and blitz well – it will still be chunky at this stage. Add the olive oil then pulse again. Stir in the Parmesan and seasoning – decide whether you want to blitz again or keep as it is. Keep in an airtight container in the fridge (this makes enough for numerous servings, it will last about 2 weeks). Preheat the oven to 200 degrees C and place the chicken breast on a large piece of tin foil. Make a horizontal slit then stuff with the mozzarella, packing it inside. 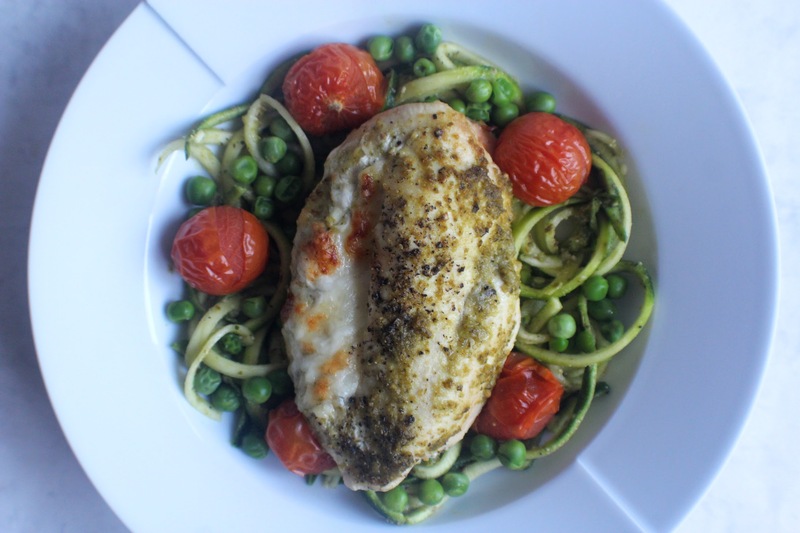 Spread the outside of the chicken with the pesto then wrap up the foil around it. Bake for a total of about 30 minutes depending how big the chicken breast is. 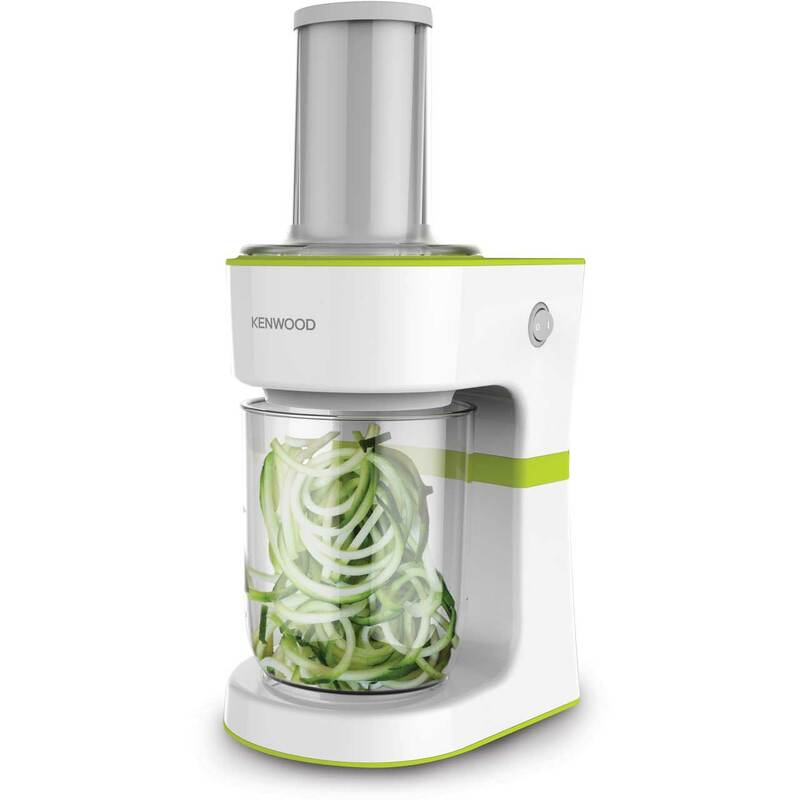 Meanwhile prepare your courgetti: Use your Kenwood Spiraliser to create courgette ‘spaghetti’. Place the tomatoes in a small roasting tin, drizzle over the oil and scatter over the oregano. Bake beside the chicken for the last 10 minutes of cooking. 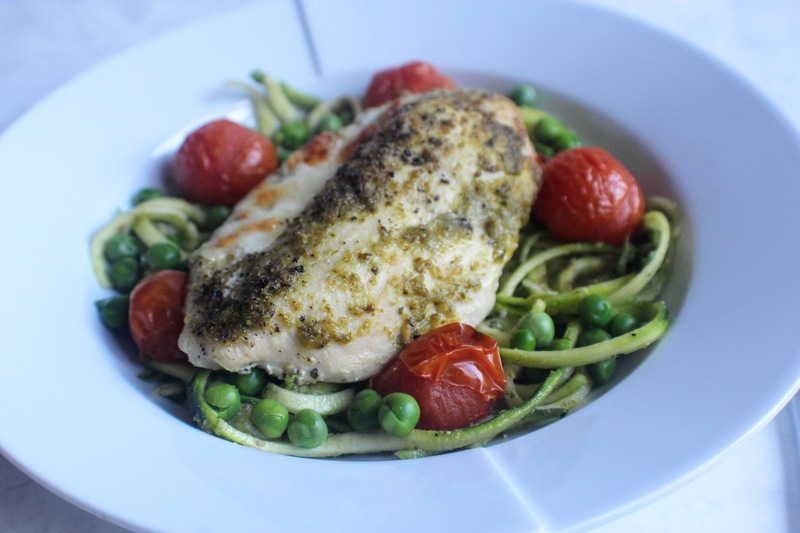 Now heat the pesto up in a non-stick frying pan, then stir in the peas. 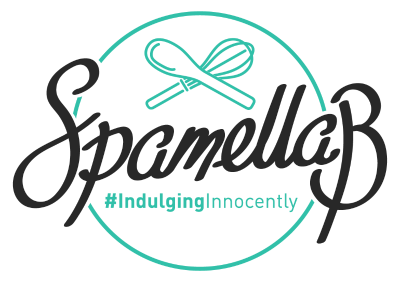 Cook for a few minutes to allow to thaw, then throw in your courgetti and stir well to coat. Cook for a few minutes more to heat through – not too long otherwise it will go mushy. Now transfer to a plate/large bowl, spoon over the roasted tomatoes then place the cooked chicken oozing with Mozzarella in the middle. Enjoy!